Uncle Dunbar did quite a bit of photography including aerial photography for the Army during WWII. 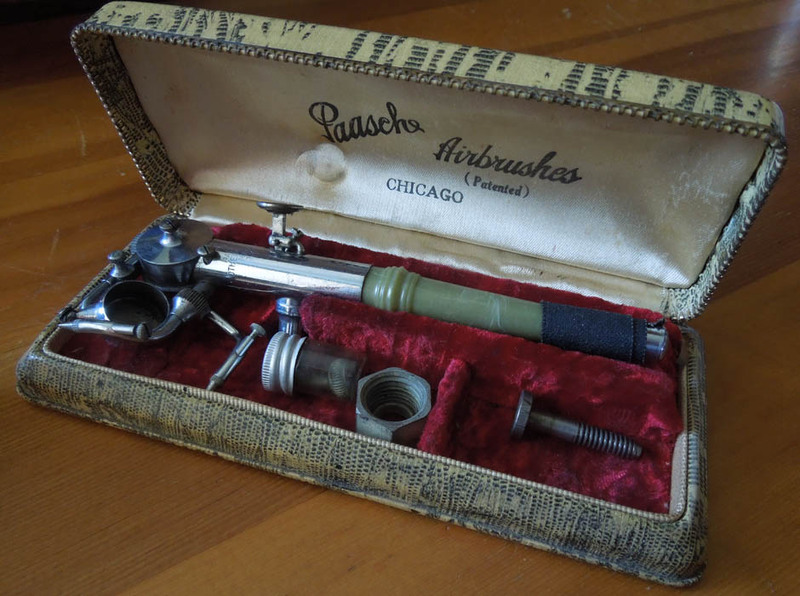 These airbrushes were in a box that also contained most of his camera equipment and lots of photographs from when he was stationed in Hawaii during WWII. In all of his photographs, I didn't find any that had been hand colored or airbrushed. I did find photographs of an art studio on the base in Hawaii, though. You just never know what you will find in an old box of "stuff"! 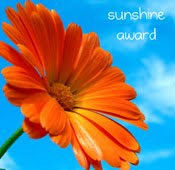 How very cool Kathy, to have something like that from a relative. It's packaged so nicely too. It is fun to have these! Thank you. Wow, how cool to own older items from relatives! Yes, Pam - so cool to have some of his things. Awww - thank you, Edi! Wow - so cool! 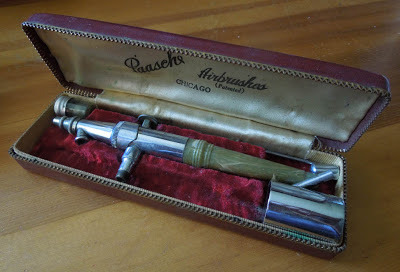 I had no idea air brushes existed back then, but, now that I think about it, I can't think of any reason they wouldn't! It is also really cool (to me) that Pasche is still one of the big brands of air brushes today! These are a LOT heavier than the ones out there now. I'm not sure if they work or if I can get parts, but it is still fun to have them. What treasures! Art is in your genes. Thank you! There are several people in my family who have been artists. Nice to find all that out, too! What a neat family keepsake! How cool to think about people air brushing their photos back then. Thanks! I know there were some hand painted ones, but I never thought about airbrushed photos from those years. Treasures are so fun to explore, especially the history of each item! So very true! I am grateful that our family has saved some very interesting, and now very historical, treasures.